Security forces held 950 irregular migrants in a northwestern Turkish province as they attempted to cross to neighboring Greece, security sources said on April 7. 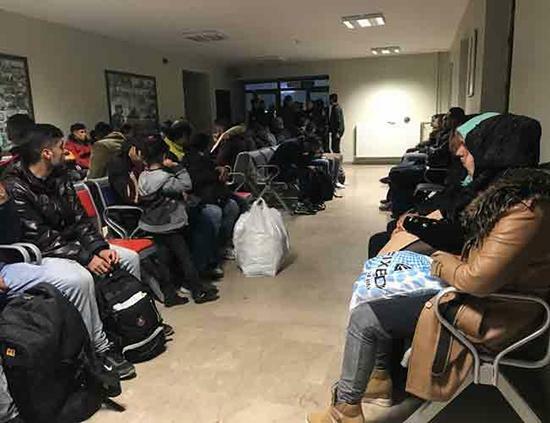 The migrants made a beeline to Edirne province as of April 4 night after they were told on social media that Turkey would allow them to cross the border, said the sources who asked not to be named, due to restrictions on speaking to the media. Upon a tip-off, police and gendarmerie forces increased security measures near the border to prevent the influx of migrants. “People on social media groups wrote to us: ‘You go to Edirne and then we will cross to Greece from there’,” Huseyni said. All migrants were referred to the provincial Migration Office in the city, the sources noted. Thousands of irregular migrants had flocked to Edirne in 2015 as well after hearing claims that Germany would accept migrants and border crossings would be open.